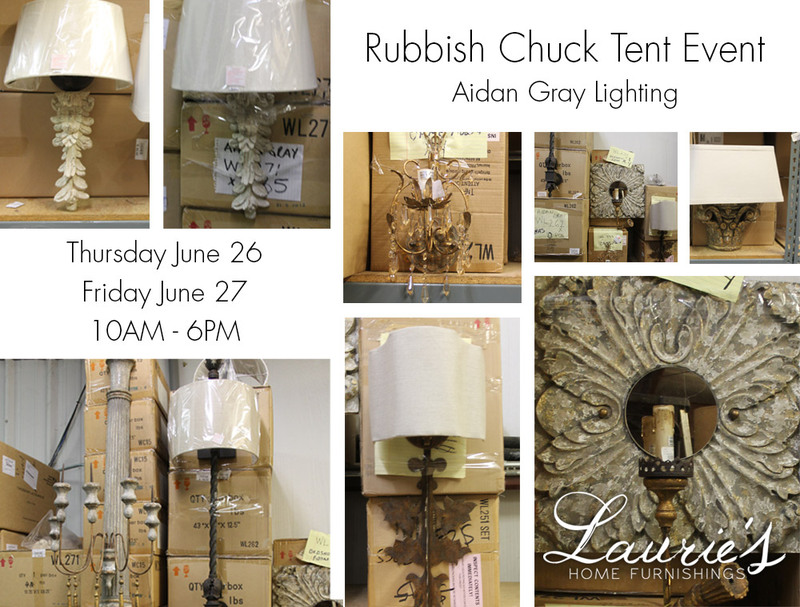 Come meet the beautifully brilliant Aidan Gray at our upcoming Rubbish Chuck Tent Event. When: Thursday, June 26 & Friday, June 27 from 10 a.m. to 6 p.m. Many of you already know Aidan Gray. He’s bright. He’s illuminating. Heck, you may have already invited him into your home. Here’s your chance to invite more Aidan Gray Lighting into every nook, cranny, crevice and ceiling beam. A whole tent full of lighting fixtures with prices so low they’ll make you scream (in a good way).